Musicians that had never met and had come from different sides of the tracks suddenly found themselves together in the same recording booth. Tori Kudo, self proclaimed Japanese 'King Of Error' was coupled with virtuoso pianist Satoko Fuji, a classically trained graduate of Berkley Music College in Boston. You'll remember we mentioned Peaking Lights recently, signing to Weird World and all that. Well here's another beguiling little off-the-beaten-track number from the reissued album, 936 . The video by Cam Archer reflects that mood - just a girl putting junk together in a field, with gorgeous close-ups - although I'd feel bad about treating a pair of Converse the way she does. 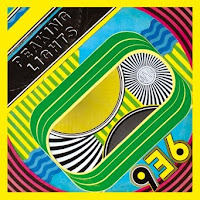 The band are also streaming various 936 remixes this week, including this one. 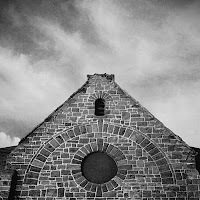 You can check the others on a dedicated website, http://www.936.fm/, including Adrian Sherwood, patten, DaM-FunK, Damu, Cadenza, Sunless ’97, d’Eon, Doldrums and Maria Minerva. They're wonderful, basically. A few things of note on the Asthmatic Kitty front. First a new video from the great Shara Worden, that is My Brightest Diamond, taken from the current album All things will unwind (you'll find other Diamond-related info here and here). At the risk of sounding churlish, I must admit this video gives me a bit of a rash - it's just sooo right-on. However, it's chamber pop, people, and we have religious obligations around here about catchy, effervescent pop tunes played on orchestral instruments. And next to something so bonkers, it makes Gruff Rhys look staid and conformist (which he's not, at all). The name of the group is Pepe Deluxé, new to me. Have a read of this first. We love a bit of Field Music around here. 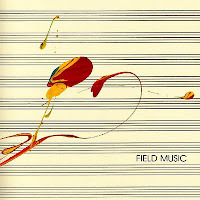 So imagine how happy we were to hear the news about the new Field Music album, due out in February 2012. It'll be called Plumb, and will be released on Memphis Industries. Here's the stream and download. 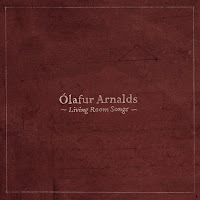 As a follow-up to the post the other day on Olafur Arnalds' new release, Living room songs, you can also stream my favourite track from it on Erased Tapes' soundcloud now. The aquatic electronics and sumptuous strings make it worth every second of the 3.28. It’s a triple whammy for Erased Tapes this month (following Nils Frahm and Peter Broderick albums). We were big fans around here of Arnalds’ last album, …and they have escaped the weight of darkness. This latest project saw him create and record a song from scratch every day for a week in October, making the results available immediately in video format to fans, from his apartment in Reykjavik. It’s a stunningly beautiful collection, laden with strings but lightened by skipping electronics, and grounded with trademark lachrymose piano. I notice Arnalds is currently on tour with Ryuchi Sakamoto and there is a valid comparison to be drawn in the air of dignified melancholy you’ll find here. Superb. Another notable release from the prolific Mr Broderick. It’s a double A-sided single featuring the only sung track from Music for Confluence (album reviewed here), backed with an instrumental from another soundtrack he’s found time to work on, Grace and Mercy, a documentary about Haiti after last year’s earthquake. Purchasers of the single get the added benefit of a digital download of the full 14-track soundtrack to the latter. Having heard it - it’s another hauntingly beautiful series of piano and guitar-centred instrumentals wrapped in an ambient gauze - I recommend you do the same. The man’s ability to evoke a range of emotions from a few (deceptively) simple materials is quite amazing. The wonderfully woozy Fibromyalgia, with a chorus of sliding, drunken violins, is my own favourite. Grace + Mercy. A Film of Haitians helping Haitians. 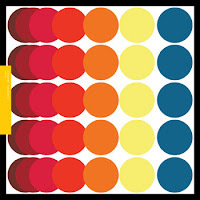 from luis pena on Vimeo. You might have come across the Domino imprint Weird World. Set up this year, they've already released a couple of impressive records by Smith Westerns and Washed Out. Now they've announced the signing of US west coast husband and wife duo Peaking Lights. Their 936 album gets its first full European release later this week (it came out previously on Not Not Fun in the US). And their new album is due out in the spring. From 936, here's the great All the sun that shines, which, with its cavernous reverb and deep sea bass, is the perfect soundtrack music for any number of nocturnal activities. Aaran Coyes and Indra Dunis are their names - that's them in the very-un-rock-n-roll-but-so-very-rock-n-roll photo above, with their new baby Mikko. Aaron had this to say about the new album - I feel the need to reprint all of it. In a break with tradition, I've decided to put up an interview without broadcasting an excerpt on the show first. So here's Crystal Stilts speaking to me before they played in Dublin, just over a week ago. Welcome to a world where circus music meets pop, featuring an unruly arrangement made up of electronic tambourines, mouth trumpets, falsetto choirs, no-nonsense gorgeous melodies and the winningest refrain. Irresistible duet between the Super Furry Animals’ frontman and the Swedish singer. Hints of Tropicalia in the brushed samba beat, as well as the gloriously over the top lyrics recounting love at a conference – “When I saw you at the seminar/Raindrops and fireworks flow/When I saw you at the seminar/Active volcanoes aglow”. Superb. *The single is backed by Whale trail, which comes accompanied with aye-Phone app features. Anybody know the Welsh for bonkers? If you’re of a certain age, you’ll remember Jubilee Allstars, a Dublin band from around the turn of the last century who had some great, downbeat alt country tunes and flirted with (major) record label success. Barry McCormack was the singer and main writer in that band and went on to record and perform solo when the Allstars split. 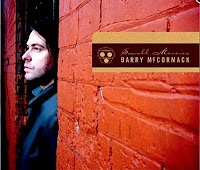 (I remember meeting Barry about ten years ago in Nancy Spain’s – that used to be a live music venue in Cork, kids – supporting The Pernice Brothers; he was a regular visitor to the city on such support slots around that time). This is his fourth solo album but his first to be recorded with a full backing band. I’m sorry to say I’ve heard none of the other three, but I’m glad this one found me. We've spoken about Serge Gainsbourg in these pages before. His Histoire de Melody Nelson album from 1971 is one of the great concept albums, in fact albums full stop. Which you might not guess to read this description.